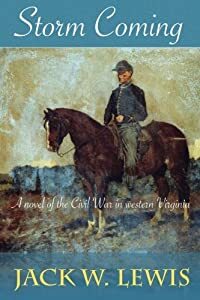 Based on a true story, this first of a trilogy of Civil War novels chronicles the fateful events of 1861 in western Virginia, as a young man learns to cope with his world turned upside down by war. It is April of 1861. The shocking events at Fort Sumter are having devastating effects on Alexander Swaney, living on his family farm in Pennsylvania just a few miles north of the border with western Virginia. He watches as Virginia fights its own civil war, as the disaffected western counties, long neglected by Richmond, attempt to secede from the rest of the state. Their political struggle produces the first land conflicts of the larger War of the Rebellion, involving the future military giants George McClellan, Stonewall Jackson, and Robert E. Lee fighting in the rugged mountains of western Virginia, soon to be a new state. As events sweep Alexander along in their path, he struggles to maintain some control over his destiny. Should he volunteer to join the Union army and fight to preserve the and he loves, but leave behind the girl he hopes to marry, as well as his family, at the mercy of marauders and bushwhackers? Adding to Alexander’s confusion is the fact that Sophia isn’t sure she’s ready to marry him, and a rival for her affections is on the scene in the form of his cousin Tip, a rake who has had his eye on Sophia. Fortunately, Alexander has a close friend in Harry Hagans, a young pastor who also feels the call to arms from his desire to bring an end to slavery. As the storms of war bear down on them, Harry and Alexander share a convoluted journey, ultimately arriving at their military home, the 1st Regiment of Loyal Virginia Volunteer Cavalry, later to become the 1st West Virginia Volunteer Cavalry. Along the way, their friendship is threatened when Harry reveals a dark secret that shakes Alexander’s trust. A detailed glimpse into a portion of Civil War history largely unknown, Storm Coming is a luminous story of a young man’s coming of age and the birth of a new state out of the storms of war. As she is trained in the family dye business, Lydia’s shrewd management quickly creates profit, prestige—and envy. 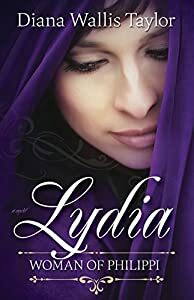 At odds with her jealous brother, who is a staunch Roman and can't understand her obsession with the Jewish religion, Lydia finds herself yet again at the mercy of a patriarchal society. Will fleeing to Philippi be enough to protect herself and those under her care? Will she keep her vow to widowhood when a handsome Greek God-fearer turns out to be more than just an employee? ​And when she meets a strange man named Paul the apostle by the river one Sabbath day, will Lydia have the courage to once more let her life be dramatically changed—this time forever? Avram has spent his life raising sheep in the hills around his native Bethlehem. Old age finds him cynical, peculiar, and perhaps dangerous. After Avram and his mute wife Yael reluctantly accept responsibility for an unwanted child, the girl’s charming innocence endears her to the couple. When Channah is a young teen, her stepfather unexpectedly appears and demands custody, taking her away to an arranged marriage. The young woman hopes for a kind husband, cherishing the dream of someday having her own child to love. Meanwhile, an old friend persuades Avram to investigate rumors of a miraculous healer. What the old shepherd discovers challenges everything he has ever believed. The Crimson Heirlooms. One tangible – a priceless necklace called the Cross of Nantes. The other ephemeral – a secret hidden within the lyrics of a song. Each holds the power to change the course of history. But together, the price of ownership is death or salvation. 1832, Paris. Jake Loring is an American student living in the city during the turbulent march to revolution. Torn between the safety of going home to America and the passionate adventure of joining the Resistance, Jake foolhardily follows Paris into violent madness and soon finds himself being blackmailed by the Sphinx-like Monsieur Tyran to search for the Crimson Heirlooms… or die trying. 1776, France. The Heirlooms are born out of the drama unfolding in and around the dying manor of the Traversier Family and the Guerriers of Saint-Domingue. Furious betrayal, religious passion, illicit love and faltering honor between the men and women of both clans forge the Heirlooms and determine the fate of each family. Past and present intersect as Jake outruns the dangerous forces trying to stop him while sifting through the rubble of this half-century-old drama in order to find the clues that will lead him to the current location of the Heirlooms and to freedom. But at what cost to France? And his soul? Silver Medal Winner, Readers' Favorite Book Award Winner. Finalist, International Book Awards. 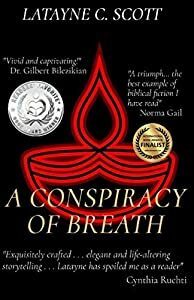 In a richly-textured, controversial and provocative literary work, award-winning author Latayne C. Scott examines: What would it have been like to be a woman, a Gentile, and someone onto whom the Holy Breath moved - to produce what became the mysterious Epistle to the Hebrews in the Bible? 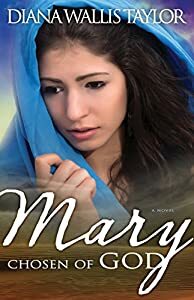 Mary is ordinary girl from Nazareth. She helps her mother with household chores, she daydreams about a handsome carpenter's son named Joseph, and at night she lies on the roof and contemplates at the stars. But one evening, a heavenly visitor comes with unexpected news—and her life is changed forever. Experience the life of the Messiah from the perspective of his mother, who must place her trust and obedience in Adonai, the Most High, as he fulfills centuries of anticipation in the middle of her daily life. Walk with Mary as she witnesses Yeshua grow, mature, minister, and even crucified—and then raised again, to the kindling of her new faith. She has no name. She is not even a footnote. 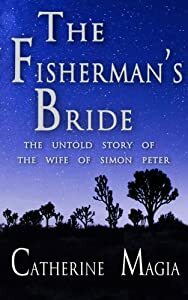 Her tale is hidden behind the well-told fable of her husband, the man who would become Simon Peter, the first Apostle. Cast off by her family after shunning a wealthy suitor to marry a humble fisherman, her life is fraught with hardship. 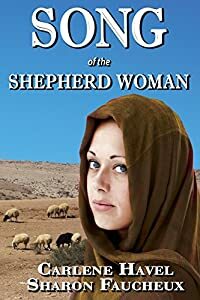 She endures her husband’s growing restlessness, fish shortages from the Sea of Galilee, and the oppression of an all-powerful Roman Empire over her people. Then her life is forever changed when her dying mother is saved by a miracle performed by a young carpenter—a man who speaks with understanding and acts with compassion. A man who can inspire the extraordinary. Simon Peter lives on in history as the undaunted martyr of the carpenter. This is the untold story of his young bride. Her journey traverses villages and deserts, love and tradition, and a brewing revolution, to an awakening of faith that challenges everything she has ever known. 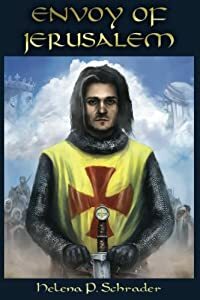 Balian has survived the devastating defeat of the Christian army on the Horns of Hattin, and walked away a free man after the surrender of Jerusalem, but he is baron of nothing in a kingdom that no longer exists. Haunted by the tens of thousands of Christians now enslaved by the Saracens, he is determined to regain what has been lost. The arrival of a vast crusading army under the soon-to-be-legendary Richard the Lionheart offers hope -- but also conflict, as natives and crusaders clash and French and English quarrel. This is Part III of a biographical novel about Balian d'Ibelin. The first two books in the series, Knight of Jerusalem and Defender of Jerusalem, were both BRAG Medallion honorees. Defender of Jerusalem won the 2016 Chaucer Award for Historical Fiction set in the Middle Ages and was also awarded the Silver (second place) for Spiritual/Religious Fiction in the 2016 Feathered Quill Book Awards. It was a finalist for the 2016 M.M. Bennetts Award for Historical Fiction. Picking up where The Roman, the Twelve, and the King left off, with the 1743 London premiere of Handel's Messiah, the Order of the Seven animal team must split up for their next mission: the birth of a new nation. Team leader Gillamon tells them, "Each of us will be witness to a unique point in history because of a unique generation of world leaders. Most of them are just children now, or have not yet even been born. Take note of how important one generation of children can be. Marvel at each child and the power they have to change the history of the world for the good of all." forest in Virginia than about school. Her task will take time, as Patrick Henry will fail at everything he tries. Liz eventually leads Patrick to take up law, and finally accomplishes her mission when he finds his powerful voice in a courtroom. 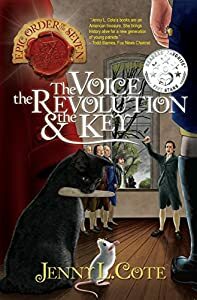 Little does Patrick Henry or the colony of Virginia know that his voice will set the ball of the American Revolution in motion. Henry will be the only one bold enough to first speak out against the tyrannical King of England, calling for the colonies to rise up and fight for independence. "Liberty or death!" becomes the battle cry to unite thirteen solitary colonies as one nation under God to fight the mighty British lion. 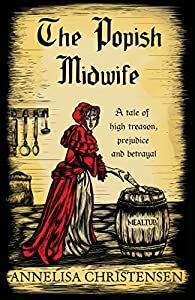 The Popish Midwife is the first historical novel in the Seventeenth Century Midwives Series which is based on the inspiring true story of English midwife Elizabeth Cellier. 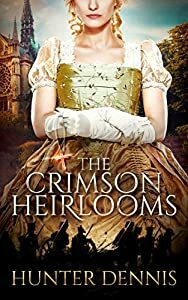 If you like strong heroines, tales of endurance, and accurate historical details, then you’ll love Annelisa Christensen's award-winning series! Buy The Popish Midwife to explore your passion for justice today!